NOTE you make use of this info solely at your own risk. Not suitable for navigation. Always check other sources. Conditions can and do change without warning. - useful indicator shows what the wind is doing. Below data is delayed by 2 hours - use the SMS for the latest info. Situated on the Cape Point Lighthouse Observation Tower which 250 metres above MSL on top of the cliff. This cliff shields winds from NE to ESE. Always check other stations. 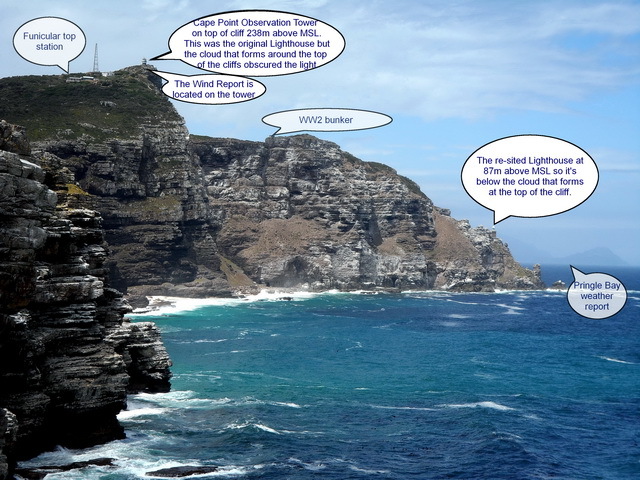 History Graphs of Cape Point Lighthouse - click here updated @19h00. 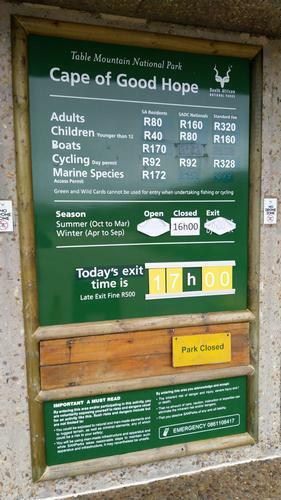 Cape Point - Gate times and Entrance Fees in January 2018. A Return ticket on the funicular costs R70 (2018-01). Save with a TMNP My Green Card see http://capepoint.co.za/visitor-info/my-green-card/ - it is available exclusively to residents of Cape Town, costs R147 and provides the holder with 12 free entries (you and max 5 people = 6 entries per day) into any of the Table Mountain National Park’s pay points: Cape of Good Hope (Cape Point); Boulders Penguin Colony, Oudekraal and Silvermine, as well as to the braai and picnic areas at Tokai, Newlands and Perdekloof. It offers fantastic value. Cape Point Cliffs - looking East from Cape of Good Hope, the most SW point on the African continent. Layout of Cape Point with Lighthouse and Observation tower. 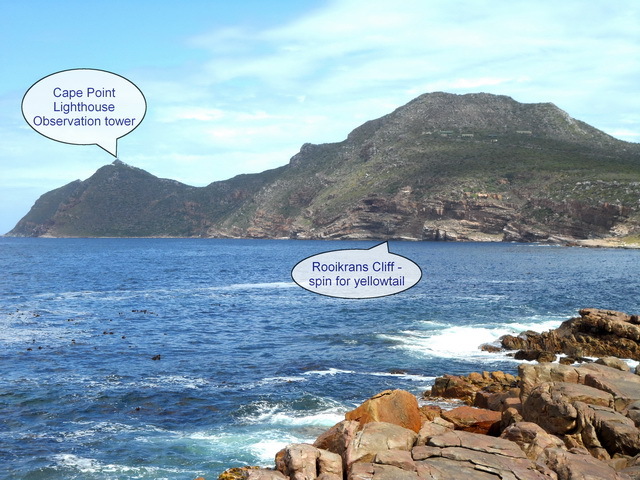 Rooikrans Cliffs - spin for yellowtail. 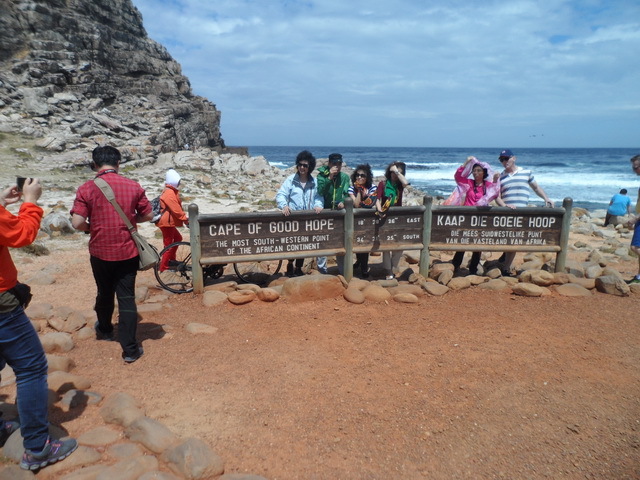 Cape Of Good Hope popular with tourists. 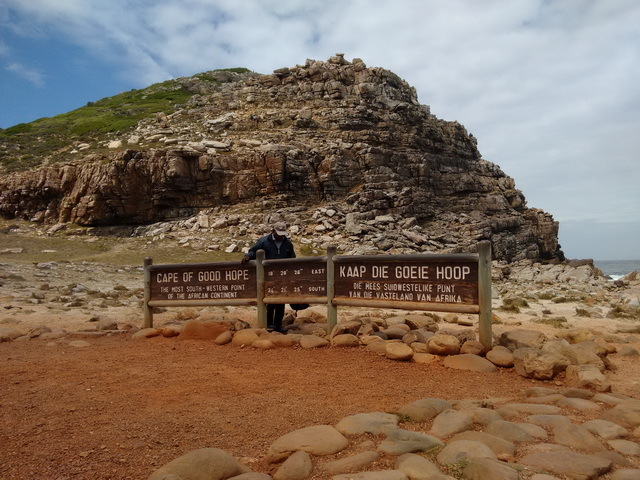 Cape Of Good Hope - most SW point on the African continent. That's me Mike the owner on a rare low wind day - not getting blown away. 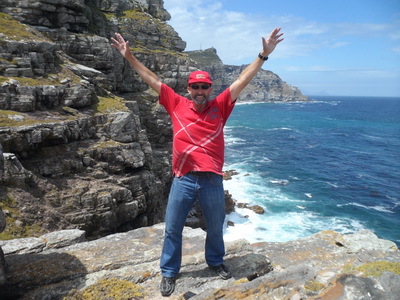 Visitor numbers in 3 weeks to Cape Point. Approx R14 million in 21 days.